Our trip starts with a sensational trans Himalayan flight from Kathmandu to Lhasa .We explore different cultural and other heritage sites of Lhasa and then we start the trek. After the trek we drive for overland journey to Kathmandu. En route we visit the magnificent Gyantse fort and Kumbum monastery in Gyantse and Tashilhunpo monastery in Shigatse, cros s high passes and visit nomad camps , see the world's highest peaks and conclude our trip in Kathmandu. Day 08: Trek around Nam Tso Lake. Overnight camp. 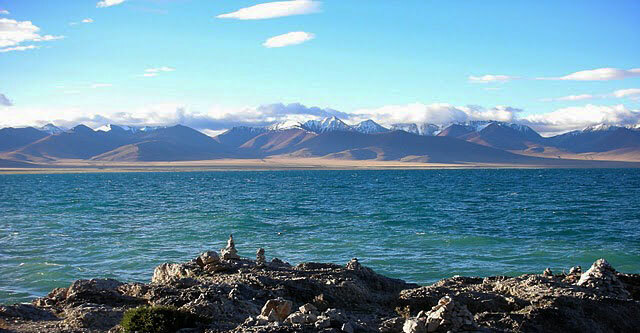 Day 09: Trek around Nam Tso Lake. Overnight camp. Day 10: Trek back to Nagen La Pass and drive to Lhasa. Day 11: Drive Lhasa to Gyantse. Day 12: Drive to Shigatse. Day 13: Drive to Lhatse. Day 14: Drive to Tingri. Day 15: Drive to Nyalam.